The North American Aviation XB-70 Valkyrie was the prototype version of the proposed B-70 nuclear-armed deep penetration bomber for the United States Air Force's Strategic Air Command. Designed in the late 1950s, the Valkyrie was a large six-engined aircraft able to fly Mach3+ at an altitude of 70,000ft (21,000 m), which would have allowed it to avoid interceptors, the only effective anti-bomber weapon at the time. The introduction of effective high-altitude surface-to-air missiles, the program's high development costs, and changes in the technological environment with the introduction of ICBMs led to the cancellation of the B-70 program in 1961. 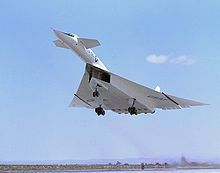 Although the proposed fleet of operational B-70 bombers was cancelled, two prototype aircraft were built as the XB-70A and used in supersonic test flights from 1964 to 1969. One prototype crashed following a midair collision in 1966; the other is on display at the National Museum of the United States Air Force in Ohio. Boeing Aircraft Corporation's MX-2145 Project with Rand Corporation that started in January 1954 explored what sort of aircraft would be needed to deliver the various nuclear weapons then under development. Providing for a long range and high payload were obvious requirements, but they also concluded that after bomb-release the plane would need supersonic speed to escape the weapon's critical blast-radius. But Jet engines of the time had poor fuel efficiency; an aircraft capable of carrying a reasonable bomb load to the Soviet Union from the continental United States had to be very large. The aviation industry had been examining this problem for some time. 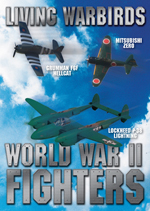 There was considerable interest in the use of nuclear powered aircraft in the bomber role from the mid-1940s. Nuclear engines in aircraft used the heat generated by a nuclear reactor in place of jet fuel, giving it virtually unlimited cruising range. Another possibility was the use of boron-enriched "zip fuels", which improved the energy density of the fuel by about 40%. Various U.S. government agencies had been experimenting with zip fuels, and they believed that once the problems were solved, zip fuel would become almost universal for high-speed aircraft. Zip fuel offered a real performance increase with a relatively straightforward development of existing engines. The Air Force followed these developments closely, and in October 1954 they issued General Operational Requirement No. 38 for a new bomber with the intercontinental range of the B-52 and the Mach2 maximum speed of the B-58 Hustler. The new bomber was expected to enter service in 1963. March 1955's follow-on GOR.81 was more specific, calling for a nuclear-powered bomber with a combat radius of 11,000nmi (12,650mi, 20,375km), capable of flying up to 1,000mi (1,600km) at a speed greater than Mach2 at altitudes greater than 60,000ft (18,300m) with a 20,000lb (9,100kg) payload. The payload was revised upward to 25,000lb (11,350kg) in GOR.82 later that month. The Air Research and Development Command (ARDC) decided to separate the two approaches. The nuclear approach became "Weapon System 125A" and the zip fuel work was spun out. ARDC issued a new requirement for "Weapon System 110A", which asked for a chemical fuel bomber with Mach0.9 cruising speed and "maximum possible" speed during a 1,000nmi (1,609km) entrance and exit from the target. The requirement also called for a 50,000lb (22,670kg) payload and a combat radius of 4,000nmi (4,600mi, 7,400km). In early 1955, the Air Force issued GOR.96, which called for an intercontinental reconnaissance system (WS-110L) with the same general requirements as WS-110A. In 1956, the separate WS-110L reconnaissance requirement was combined with the WS-110A bomber requirement to become Weapon System 110A/L. 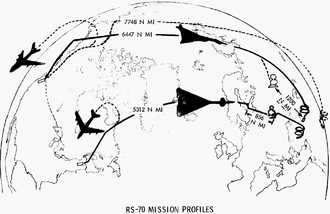 In February 1958, the former WS-110L ("RB-70") reconnaissance mission was canceled due to better alternatives, and the nuclear-powered bomber work had been dropped "soon after" 8 November 1955, due to cost issues. Picture - NAA's original proposal for WS-110A. The "floating panels" are large fuel tanks the size of a B-47. On 21 June 1955, the Deputy Chief of Staff directed WS-110A development to proceed. Six contractors were selected to bid on WS-110A studies; Boeing and North American Aviation (NAA) submitted proposals. On 8 November 1955, the Air Force issued letter contracts to both Boeing and North American for Phase 1 development. The contracts called for models, design reports, wind tunnel tests, plus a mock-up. In mid-1956, initial designs were presented by the two companies. Zip fuel was to be used in the afterburners to improve range by 10% to 15% over conventional fuel. Both designs featured huge wingtip fuel tanks that could be jettisoned when their fuel was depleted before a supersonic dash to the target. On both Boeing and North American designs, the entire outer portion of the wings was jettisoned with the fuel wing tanks. The Air Force evaluated their designs and then in September 1956 deemed them too large and complicated. The huge fuel load resulted in takeoff weights of 700,000lb (318,000 kg), making them too large and complicated for safe operation from existing runways and storage in existing hangars. Curtis LeMay was not enthusiastic about the NAA design, claiming "Hell, this isn't an airplane, it's a three-ship formation." NAA and Boeing's study contracts were extended to further develop their bomber designs. In October 1956, the USAF directed WS-110A Phase 1 development be discontinued, and the two contractors were to continue development at a decreased level. During the period that the original proposals were being studied, advances in supersonic flight were proceeding rapidly. The "long thin delta" was establishing itself as a preferred planform for supersonic flight, replacing earlier designs like the swept wing and compound sweep as seen on designs like the F-104 Starfighter (and the earlier NAA design for WS-110). Engines able to cope with higher temperatures and widely varying inlet airspeeds were also under design, allowing for sustained supersonic speeds. By March 1957, engine development and wind tunnel testing had progressed such that the potential for all-supersonic flight appeared feasible - the cruise-and-dash approach that had resulted in huge designs was no longer needed. The project decided that the aircraft would fly at speeds up to Mach3 for the entire mission, instead of a combination of subsonic cruise and supersonic dash of the aircraft designs in the previous year. Zip fuel was to be burned in the engine's afterburner to increase range. Both North American and Boeing returned new designs with very long fuselages and large delta wings. They differed primarily in engine layout; the NAA design arranged its six engines in a semi-circular duct under the rear fuselage, while the Boeing design used separate podded engines located individually on pylons below the wing. North American had scoured the literature to find any additional advantage. One possibility that turned up was an obscure piece of research known as compression lift, which used the shock wave generated by the nose or other sharp points on the aircraft as a source of high pressure air. By carefully positioning the wing in relation to the shock, the shock's high pressure could be captured on the bottom of the wing and generate additional lift. Since the energy put into forming the shock wave has already been spent simply flying through the air, lift generated in this fashion is essentially free. To take maximum advantage of this effect, they redesigned the entire underside of the aircraft to feature a large triangular intake area far forward of the engines, better positioning the shock in relation to the wing. 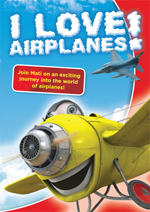 The semi-circular duct disappeared and the engines were rearranged to be side-by-side. Fuel tanks were repositioned from the fuselage into a number of smaller tanks wrapped around the ducting, and the rudder became a twin-fin design. North American improved the design with a set of drooping wing tip panels that were lowered at high speed. This not only helped trap the shock wave under the wing between the downturned wing tips, but also added more vertical surface to the aircraft, which was important in helping offset a general decrease in directional stability all aircraft encounter at high speeds. Other designs had generally used fixed vertical surfaces, ending up over-stable at slower speeds instead of under-stable at low speeds. The Republic XF-103 used a dedicated moving surface to address this. NAA's solution had an additional advantage, as it decreased the surface area of the rear of the wing when they were moved into their high speed position. This helped alleviate a more minor problem, the shift in trim as speeds changed. Under normal conditions the "average lift point", or center of pressure, moves rearward with increasing speeds, causing an increasing nose-down trim. When the wingtips were drooped the surface area at the rear of the wings was lowered, moving the lift forward and counteracting this effect. The buildup of heat due to skin friction during sustained supersonic flight had to be addressed. During a Mach3 cruise the aircraft would reach an average of 450˚ F, although there were portions as high as 650˚ F. NAA proposed building their design out of a honeycomb stainless steel material, consisting of two thin sheets of steel brazed to a honeycomb-shaped foil in the middle. Expensive titanium would be used only in high-temperature areas like the leading edge of the horizontal stabilizer, and the nose. For cooling the interior, the XB-70 pumped fuel en route to the engines through heat exchangers. On 30 August 1957, the Air Force decided that enough data was available on the NAA and Boeing designs that a competition could begin. On 18 September, the Air Force issued operational requirements which called for a cruising speed of Mach3.0 to 3.2, an over-target altitude of 70,000-75,000ft (21,300-22,700m), a range of up to 10,500mi (16,900km), and a gross weight not to exceed 490,000lb (222,000kg). The aircraft would have to use the hangars, runways and handling procedures used by the B-52. On 23 December 1957, the North American proposal was declared the winner of the competition, and on 24 January 1958, a contract was issued for Phase 1 development. In February 1958, the proposed bomber was assigned the number B-70, with the prototypes receiving the "X" experimental prototype designation. The name "Valkyrie" was the winning submission in spring 1958, selected from 20,000 entries in a USAF "Name the B-70" contest. In December 1958, a Phase II contract was issued. The mockup of the B-70 was reviewed by the Air Force in March 1959. Provisions for air-to-surface missiles and external fuel tanks were requested afterward. At the same time North American was developing the proposed XF-108 Rapier supersonic interceptor. To reduce program costs, the F-108 would use two of the same engines, the same escape capsule, and some smaller systems as the B-70. The B-70 was planned to use a high-speed, high-altitude bombing approach that followed a trend of bombers flying progressively faster and higher since the start of manned bomber use. This helped the bomber evade enemy interceptor aircraft, the only effective anti-bomber weapon in the 1950s. Soviet interceptors during the late 1950s could not intercept the U-2 reconnaissance aircraft that could operate at very high altitudes. The B-70 would fly at similar altitudes and much higher speeds. The introduction of the first effective anti-aircraft missiles by the late 1950s had seriously upset this equation. Missiles like the Soviet SA-2 Guideline could be fired as soon as a track was developed, and could reach high altitudes in a few minutes. Although its performance against a target like the B-70 would be limited, missile performance was increasing much faster than aircraft performance, and the Soviets were already working on the 'SA-5 Gammon' to close this gap. By the 1960 downing of the U-2 flown by Gary Powers, military doctrine had shifted away from high-altitude supersonic bombing toward low-altitude penetration. By flying close to the Earth and hiding behind terrain, aircraft could dramatically shorten detection distances. Missile sites that could not be avoided, like those near Moscow, would be attacked at medium range using high-speed missiles launched by the bombers. Low-altitude flight is taxing on both the aircraft and crews, however, requiring considerably more fuel and needing sophisticated obstacle-avoidance sensors and control equipment. Designed for high-altitude flight, the B-70 lost this edge to improved Soviet high-altitude, anti-aircraft missiles. The aircraft would become increasingly vulnerable at high altitudes as newer missile systems were introduced, and at low altitudes it lost its supersonic performance and range. Using the original Mach3 high altitude mission profile, the aircraft had a design range of 6,447nmi (7,419mi, 11,940km) without refueling, but flying over the target area "on-the-deck" at Mach0.95 reduced range to 5,312nmi (6,113mi, 9,838km), even with in-flight refueling. Nevertheless, Air Research and Development and Air Materiel Commands endorsed an 18-month acceleration that the Air Staff approved on 19 March 1958 that scheduled the first flight for December 1961. However, in the fall of 1958 Air Force Chief of Staff Thomas D. White announced that the acceleration of the program would not be possible due to lack of funding. In early 1959, 15 major B-70 subcontracts were awarded. Adding to the program's problems, the zip fuel program was canceled in 1959. After burning, the fuel turned into liquids and solids that caused wear on moving turbine engine components. This by itself was not a fatal problem, however, as newly developed high-energy fuels like JP-6 were available that made up some of the difference. By filling one of the two bomb bays with a fuel tank, range was reduced only slightly, although payload space suffered. Also, a portion of the preceding F-108 program's "150 million dollars expended" benefited the B-70 program, so the 23 September 1959 XF-108 cancellation ended shared development (Hughes Aircraft would continue development of the advanced fire control system and the GAR-9 missile). At two secret meetings on 16 and 18 November 1959, General Twining recommended the Air Force's plan for the B-70 to reconnoiter and strike rail-mobile Soviet ICBMs, but General White admitted the Soviets would "be able to hit the B-70 with rockets" and requested the B-70 be downgraded to "a bare minimum research and development program" at $200 million for fiscal year 1960. President Eisenhower responded that the reconnaissance/strike mission was "crazy" since the nuclear mission was attacking known production and military complexes, and emphasized he saw no need for the B-70 since the ICBM is "a cheaper, more effective way of doing the same thing". Eisenhower also identified that the B-70 would "not be in production before a date eight to ten years from now" and "said he thought we were talking about bows and arrows at a time of gunpowder when we spoke of bombers in the missile age." In December 1959 the Air Force announced the B-70 project would be cut to a single prototype, and most of the planned B-70 subsystems would no longer be developed. Then interest increased due the politics of presidential campaign of 1960. A central plank of John F. Kennedy's campaign was that Eisenhower and the Republicans were weak on defense, and pointed to the B-70 as an example. He told a San Diego audience near NAA facilities that "I endorse wholeheartedly the B-70 manned aircraft." Kennedy also made similar campaign claims regarding other aircraft: near the Seattle Boeing plant he called for more B-52s and in Fort Worth he praised the B-58. The Air Force changed the program to full weapon development and awarded a contract for a XB-70 prototype and 11 YB-70s in August 1960. In November 1960, the B-70 program received a $265 million appropriation from Congress for FY 1961. Nixon, trailing in his home state of California, also publicly endorsed the B-70, and on 30 October Eisenhower helped the Republican campaign with a pledge of an additional $155 million for the B-70 development program. On taking office in January 1961, Kennedy was informed that the missile gap was an illusion. On 28 March 1961, after $800 million had been spent on the B-70 program, Kennedy canceled the B-70 Mach 3 manned bomber as "unnecessary and economically unjustifiable" because it "stood little chance of penetrating enemy defenses successfully." Instead, Kennedy recommended "the B-70 program be carried forward essentially to explore the problem of flying at three times the speed of sound with an airframe potentially useful as a bomber." After Congress approved $290 million of B-70 "add-on" funds to the President's 12 May 1960 modified FY 1961 budget, the Administration decided on a "Planned Utilization" of only $100 million of the add-ons. The Department of Defense subsequently presented data to Congress that the B-70 would add little performance for the great cost. However, after becoming the new Air Force Chief of Staff in July 1961, Curtis LeMay increased his B-70 advocacy, including interviews for August Reader's Digest and November Aviation Week articles, and allowing a 25 February General Electric tour at which the press was provided artist conceptions of, and other info about, the B-70. Congress had also continued B-70 appropriations to (unsuccessfully) resurrect development of the bomber. After the Secretary of Defense explained again to the House Armed Services Committee (HASC) on 24 January 1962 that the B-70 was unjustifiable, LeMay subsequently argued for the B-70 to both the House and Senate committees-and was chastised by McNamara on 1 March. By 7 March 1962, the House Armed Services Committee (HASC)-with 21 members having B-70 work in their districts-had written an appropriations bill to "direct"-by law-the Executive Branch to use "the full amount" of the nearly $500 million appropriated for the RS-70. McNamara was unsuccessful with an address to the HASC on 14 March, but a 19 March 1962 11th hour White House Rose Garden agreement between Kennedy and HASC chairman Carl Vinson retracted the bill's language and, notwithstanding their earlier campaign and budget advocacy, Presidents Kennedy and Johnson subsequently left the bomber canceled. The experimental XB-70As were used for the advanced study of aerodynamics, propulsion, and other subjects related to large supersonic transports. The production order was reduced to three prototypes in March 1961 with the third aircraft to incorporate improvements from the previous prototype. The crew was reduced to only the pilot and co-pilot for the XB-70; the navigator and bomb-aimer were not needed. The first XB-70 was completed on 7 May 1964 (the second on 15 October 1964), and XB-70A #1 was displayed on 11 May 1964 in Palmdale, California. One report claimed "nothing like it existed anywhere". The planned third prototype was canceled in July 1964 while being built. The first XB-70 had its maiden flight in September 1964 and flight testing followed. The XB-70 flight test data and materials development aided the later B-1 Lancer supersonic bomber program, the US Supersonic Transport program and, through intelligence, the Soviet Tupolev Tu-144. The development of the US U-2 and SR-71 reconnaissance aircraft along with the B-70 bomber led the Soviet Union to design and develop the MiG-25 interceptor. The Valkyrie was designed to be a high-altitude bomber-sized Mach 3 aircraft with six engines. 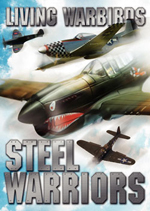 Harrison Storms shaped the aircraft with a canard surface and a delta wing, which was built largely of stainless steel, sandwiched honeycomb panels, and titanium. The XB-70 was designed to use supersonic technologies developed for the Mach3 Navaho, as well as a modified form of the SM-64 Navaho's all-inertial guidance system. The XB-70 used compression lift, which was generated from a prominent wedge at the center of the engine inlets that created a shock wave below the aircraft. The wing included inboard camber to more effectively use the higher pressure field behind the strong shock wave (the airflow at the XB-70 wing's leading edge was subsonic). The compression lift increased the lift by five percent. Unique among aircraft of its size, the outer portions of the wings were hinged, and could be pivoted downward by up to 65 degrees. This increased the aircraft's directional stability at supersonic speeds, shifted the center of lift to a more favorable position at high speeds, and strengthened the compression lift effect. With the wingtips drooped downwards, the compression lift shock wave would be further trapped under the wings. The XB-70 was equipped with six General Electric YJ93-GE-3 turbojet engines, designed to use JP-6 jet fuel. The engine was stated to be in the "30,000-pound class", but actually produced 28,000lbf (124.6kN) with afterburner and 19,900lbf (88kN) without afterburner. The Valkyrie used fuel for cooling; it was pumped through heat exchangers before reaching the engines. To reduce the likelihood of auto ignition, nitrogen was injected into the JP-6 during refueling, and the "fuel pressurization and inerting system" vaporized a 700lb (320kg) supply of liquid nitrogen to a gas to fill the fuel tank vent space and maintain tank pressure. The XB-70 Flight Test Program was conducted from the maiden flight on 21 September 1964 through 6 August 1966. The first aircraft was found to suffer from weaknesses in the honeycomb panels, primarily due to inexperience with fabrication and quality control of this new material. The first flight test was marred: one engine had to be shut down; an indicated undercarriage malfunction meant that the flight was flown with the undercarriage down limiting speed to about half that planned. On landing, the left-side rear wheels locked, causing a fire. 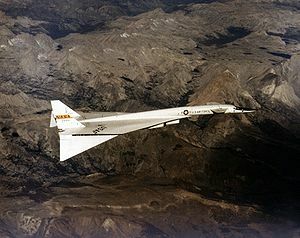 The Valkyrie first became supersonic (Mach 1.1) on the third test flight on 12 October 1964, and flew above Mach1 for 40 minutes during the following flight on 24 October. The wing tips were also lowered partially in this flight. XB-70 #1 surpassed Mach3 on 14 October 1965 by reaching Mach 3.02 at 70,000ft (21,300 m). Honeycomb panel deficiencies discovered on XB-70 #1 were almost completely solved on XB-70 #2, which first flew on 17 July 1965. On 3 January 1966, the second XB-70 attained a speed of Mach3.05 while flying at 72,000ft (21,900m). XB-70 #2 reached a top speed of Mach3.08 and maintained it 20 minutes on 12 April 1966. On 19 May 1966, XB-70 #2 reached Mach3.06 and flew at Mach3 for 32 minutes, covering 2,400mi (3,840km) in 91 minutes of total flight. After completion of the Flight Test Program on 6 August 1966, two flight research programs were conducted using the XB-70 and NAA support. The first was a joint NASA/USAF research program conducted from 3 November 1966 to 31 January 1967 for "combining the theoretical sonic boom intensity due to lift and due to volume". Prior to the first program for "Sonic Boom Measurements", XB-70A #2 was selected for the National Sonic Boom Program (NSBP) and flew the first sonic boom test on 6 June 1966, obtaining a speed of Mach3.05 at 72,000ft (21,900m). Sonic boom testing was planned to cover a range of overpressures on the ground similar but higher than the proposed American SST. The second flight research program (NASA NAS4-1174) investigated "control of structural dynamics" from 25 April 1967 through the last supersonic XB-70 flight on 17 December 1968. At high altitude and high speed, the XB-70A experienced unwanted altitude changes (porpoising), and the second program added two small vanes to the XB-70 #1 nose for flight control. After 33 research flights following the mid-air collision, the subsequent subsonic flight on 4 February 1969 ferried XB-70A #1 to Wright-Patterson Air Force Base for museum display (now the National Museum of the United States Air Force). The program concluded in April 1972, when North American Rockwell issued a four-volume B-70 Aircraft Study final report. On 7 May 1965, the divider separating the left and right halves of the engine inlet on XB-70A #1 broke off in flight and was ingested into the engines, damaging all six beyond repair. On 14 October 1965, the first XB-70 surpassed Mach3, but heat and stress damaged the honeycomb panels, leaving 2ft (0.6m) of the leading edge of the left wing missing. These construction problems resulted in the imposition of a speed limit of Mach2.5 on the first aircraft. On 8 June 1966, XB-70A #2 was in close formation with four other aircraft (an F-4, F-5, T-38, and F-104) for a photoshoot at the behest of General Electric, manufacturer of the engines of all five aircraft. With the photoshoot complete, the F-104 drifted into contact with the XB-70's right wing, flipped over, and rolling inverted, passed over the top of the Valkyrie, struck the vertical stabilizers and left wing and exploded, destroying the Valkyrie's rudders and damaging its left wing. With the loss of both rudders and damage to the wings, the Valkyrie entered an uncontrollable spin and crashed into the ground north of Barstow, California. 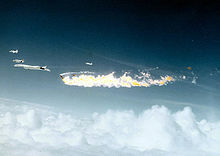 NASA Chief Test Pilot Joe Walker (F-104 pilot) and Carl Cross (XB-70 co-pilot) were killed, while Al White (XB-70 pilot) ejected, sustaining serious injuries, including one arm being crushed as it was caught in the clamshell-like escape capsule as it closed around him just before ejection from the aircraft. The USAF summary report of the accident investigation stated that, given the position of the F-104 relative to the XB-70, the F-104 pilot would not have been able to see the XB-70's wing, except by uncomfortably looking back over his left shoulder. The report concluded that Walker, piloting the F-104, likely maintained his position by looking at the fuselage of the XB-70, forward of his position. The report estimated that the F-104 was 70ft (21m) to the side of, and 10ft (3m) below, the fuselage of the XB-70. The report concluded that from that position, without appropriate sight cues, Walker was unable to properly perceive his motion relative to the Valkyrie, leading to his aircraft drifting into contact with the XB-70's wing. The accident investigation also pointed to the wake vortex off the XB-70's wingtips as the reason for the F-104's sudden roll over and into the bomber. XB-70A - prototype of B-70. Two were built. Aircraft #2, NAA Model Number NA-278, USAF S/N 62-0207, 46 flights; total time: 92 hours, 22 minutes. It was lost in a crash on 8 June 1966. XB-70B - Aircraft #3, NAA Model Number NA-274, USAF S/N 62-0208, Originally to be first YB-70A in March 1961, this advanced prototype was canceled while in manufacturing. YB-70 - Preproduction version with improvements based on XB-70s. B-70A - Planned bomber production version of Valkyrie. A fleet of up to 65 operational bombers was planned. RS-70 - Proposed reconnaissance-strike version with a crew of four and in-flight refueling capability. Valkyrie No. 1 (AF Ser. No. 62-0001) is currently on display at the National Museum of the United States Air Force at Wright-Patterson AFB in Dayton, Ohio. The aircraft was flown to the Museum on 4 February 1969, following the conclusion of the XB-70 testing program. Over the years the Valkyrie became the Museum's signature aircraft, appearing on Museum letterhead, and even appearing as the chief design feature for the Museum's restaurant, the Valkyrie Cafe. As of 2009, the XB-70 is in the Museum's Research & Development Hangar where it is displayed alongside other experimental aircraft in the Museum's collection. June 23: ________ ("June 24, 1959" - memo date), Memorandum of Conference with the President: June 23, 1959 - 11:40 AM, Subject Series, Dept. of Defense Subseries, Box 1: Joint Chiefs of Staff (6), ""DECLASSIFIED…4/10/79"" November 16: ________ ("December 2, 1959" - memo date), Memorandum of Conference with the President: Monday, 16 November 1959, Augusta, Georgia, 8:30 a.m., Papers as President of the United States, 1953-1961 [Ann Whitman File]; DDE Diary Series Box No 46; Staff Notes-Nov 1959 (3), pp.6-7 (B-70), http://books.google.com/books?id=xxeuSvsmfscC&pg=PA495, ""DECLASSIFIED…8/23/79"" November 18: ________ ("January 20, 1960" - memo date), "Memorandum of Conference with the President: November 18, 1959 - Augusta", Subject Series, Dept. of Defense Subseries, Box 4; Joint Chiefs of Staff (8) [September 1959-May 1960] & Papers as President of the United States, 1953-1961 [Ann Whitman File]; DDE Diary Series Box No 46, pp.6-8 (B-70), ""DECLASSIFIED…1/18/81"" November 19: ________ ("November 21, 1960" - memo date), "Memorandum for the Record: Meeting…Augusta, November 19, 1959 - from 8:30 a.m. to approximately 10:20 a.m.", Papers as President of the United States, 1953-1961 [Ann Whitman File]; DDE Diary Series Box No 45; Staff Notes-Nov. 1959 (6), ""DECLASSIFIED…1/6/78""
Conway, Erik M. High-speed Dreams: NASA and the Technopolitics of Supersonic Transportation, 1945-1999. Baltimore: Johns Hopkins University Press, 2005. ISBN 0-8018-8067-X. "Fundamentals of Aerospace Weapon Systems". Air University, Maxwell AFB, May 1961. Greenwood, John T. (ed). Milestones of Aviation: National Air and Space Museum. Westport, CT: Hugh Lauter Levin Associates, Inc., 1995 (first published: 1989). ISBN 0-88363-661-1. Heppenheimer, T. A. "Facing the Heat Barrier: A History of Hypersonics", part 1, part 2. NASA History Series, 2006. Retrieved: 6 April 2009. Jenkins, Dennis R. Lockheed SR-71/YF-12 Blackbirds (WarbirdTech Series, Volume 10). North Branch, Minnesota: Specialty Press, 1997. ISBN 0-933424-85-X. Jenkins, Dennis R. and Tony R. Landis. North American XB-70A Valkyrie WarbirdTech Volume 34. North Branch, Minnesota: Specialty Press, 2002. ISBN 0-58007-056-6. Jenkins, Dennis R. and Tony R. Landis. Valkyrie: North American's Mach 3 Superbomber. North Branch, Minnesota: Specialty Press, 2005. ISBN 1-58007-072-8. Lang, Walt N. United States Military Almanac. New York: Random House, 1989. ISBN 0-317-16092-7. Knaack, Marcelle Size. Post-World War II bombers, 1945-1973. Office of Air Force History, 1988. ISBN 0-16-002260-6. Machat, Mike. "XB-70 Valkyrie: Rollout and First Flights, May 1964-June 1966." Wings Volume 35, No. 8, August 2005. Moon, Howard. Soviet SST: The Techno-Politics Of The Tupolev-144. Westminster, Maryland: Orion Books, 1989. ISBN 978-0517566015. Pace, Steve. North American XB-70 Valkyrie, second edition. Blue Ridge Summit, PA: TAB Books, 1990. ISBN 0-8306-8620-7. Pace, Steve. "Triplesonic Twosome". Wings Volume 18, No. 1, February 1988. Spick, Mike. Modern Fighting Aircraft: B-1B. New York: Prentice Hall, 1986. ISBN 0-13-055237-2. Taube, L.J., Study Manager. "SD 72-SH-0003, B-70 Aircraft Study Final Report, Vol. I." North American Rockwell via NASA , April 1972.:Vol. II,:Vol. III,:Vol. IV. von Braun Wernher (Estate of), Frederick I. Ordway III and David Jr. Dooling. 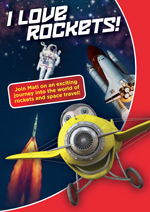 Space Travel: A History. New York: Harper & Row, 1985, first edition, 1975. ISBN 0-06-181898-4. Winchester, Jim. "North American XB-70 Valkyrie". X-Planes and Prototypes. London: Amber Books Ltd., 2005. ISBN 1-904687-40-7. York, Herbert Jr. Race to Oblivion: A Participant's View of the Arms Race. New York: Simon and Schuster, 1978. ISBN 0-06-181898-4. Retrieved: 5 March 2009.